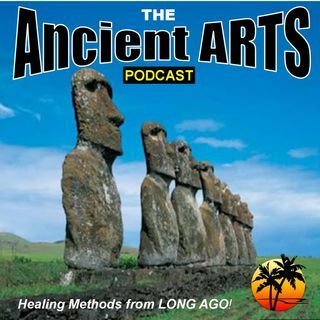 Ancient Arts Ep 12 - Medi Body Packs with Ancient Muds! Today Ancient Arts takes us back 8500 Years to the rediscovered art of Therapeutic-Grade Clay and Moor Mud Packs. Applied externally they draw out deeply embedded toxins, including heavy metals, dioxins, petrochemicals, aniline residues (from injected anesthetics) and much more. Excellent for Scar Therapy: excellent for resolution of scar interference fields and even Organ/Gland Detox: apply externally to organs/gland. Please read disclaimer at BGangel.com Statements made have not been evaluated by health Canada or the FDA and are not intended to treat, cure, prevent or diagnosis any disease.